Is Anxiety Controlling Your Life? Do you feel constantly worried or on edge? Do you find yourself struggling with irrational fears and thoughts? Does anxiety affect you physically, making your heart pound, sweat excessively, or breath shallowly? Do you have a feeling of impending doom for no apparent reason? Is your anxiety interfering with relationships and your daily life? Do you find yourself avoiding certain situations that you fear will “trigger” your anxiety? Maybe you are having difficulty concentrating, with your ability to focus being replaced by restlessness, feeling disconnected, or “blank.” Your anxiety may make you feel hyperactive, ready to react at any instant. Alternatively, it may make you feel exhausted and unable to engage with the world in the constructive way that you desire. Do you want to feel in control again? Anxiety is your body’s natural response to danger. It is completely normal for you to feel anxious occasionally. These feelings generally come around times of uncertainty or a particular challenge, like an important test. When you feel anxious around something in your life that is outside of the ordinary, the anxiety response is a healthy, natural reaction. However, we are only meant to experience these feeling for short periods of time. This response is engineered in our bodies to alert and get us out of danger. When the “danger” or newness is handled, our feelings of anxiety should subside. When anxiety lingers and you are unable to shut off that response to danger in your everyday life, it is no longer beneficial. 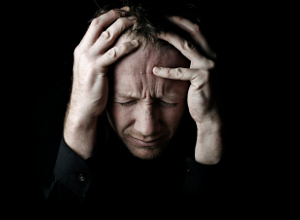 Luckily, there are many approaches to help move past anxiety disorders. With openness and the right therapist, anxiety counseling can help you determine what triggers your anxiety response and how to counteract it. We understand that your anxiety and triggers are unique to you. Anxiety can be rooted in many different aspects of life, including social anxiety, PTSD anxiety, extreme phobias, and generalized anxiety. This is one of the many reasons that anxiety can be so difficult to counteract without professional help. At Crossroads, we personalize our approach to anxiety based on each individual that we work with. Once we get to know your difficulties in a safe environment, we can help you uncover the appropriate tools to neutralize your anxiety in day-to-day life. Treating anxiety successfully is about getting the body to feel settled down. This can be done through several methods. One of the more common approaches to anxiety treatment is thought-focused therapy. In this method, we assess your thought process and how it may be contributing to your anxiety. Many people who struggle with anxiety have cyclical negative thoughts that greatly contribute to their anxious feelings. 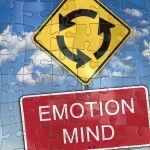 Our Crossroads therapists help you identify these thoughts and work on helping you to change the re-occurring pattern. 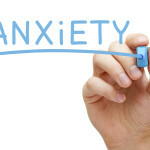 Anxiety can also be treated through a variety techniques including deep breathing, counting, establishing healthy eating and alcohol consumption habits, regular exercise and sleep. All of these are techniques that take practice outside of therapy. It is possible to change the triggers that feed your anxiety. With some patience and willingness to change, anxiety counseling with Crossroads can help you adjust the way your body reacts to these triggers. We help you take back control of your anxiety, instead of letting anxiety control you. I’ve already tried everything. Anxiety counseling isn’t going to work. 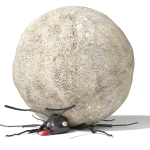 Long-term sustainable change with counseling is not easy. It takes time, practice outside of therapy, bravery and a willingness to be vulnerable with your therapist to get to the root of your anxiety. We work with you to create a safe environment that allows us to introduce new, constructive tools for you to use to counteract your anxiety. I can’t afford professional anxiety treatment. The cost of therapy is an investment in your health and well-being. If anxiety is controlling your life and affecting your relationships, the monetary cost of seeking professional help is minimal when compared to the long-term benefit on your happiness. You deserve to feel confident and in control of your life. The thought of re-living the past and going through anxiety counseling makes me even more anxious. It is a brave decision to seek anxiety treatment for yourself. Opening up to a therapist feels intimidating for many people. At Crossroads, we do everything that we can to make sure you feel as safe and comfortable as possible before proceeding with therapy. We don’t make you re-live every past moment of pain, but rather look for the larger root cause to this pain. Once we’ve established this root, we can work on introducing you to new tools to handle your feelings of anxiety. We understand that seeking anxiety counseling can be a nerve-racking decision, which is why we offer a free 20-minute phone consultation. When you’re ready to take back control of your anxiety, give us a call at 623-680-3486 or email info@crossroadsfcc.com.